Registration is now closed, but look out for more seminars in the spring! 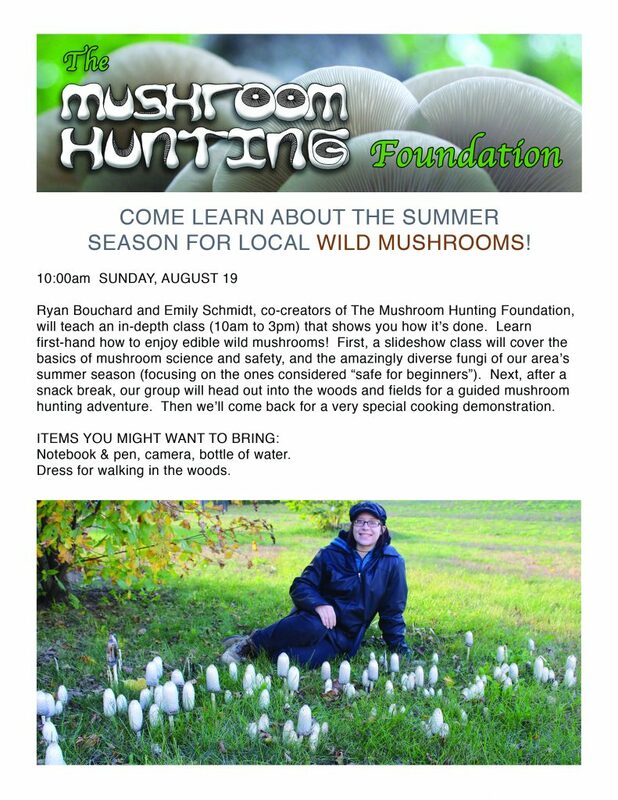 The Mushroom Hunting Foundation presents a 5-hour Wild Mushroom Hunting Seminar at Brown Farm on August 19, 2018. The cost to attend is $42 per person. There will be a cooking demonstration at the end (hors d’oeuvres made from collected mushrooms) but please bring a snack/lunch for the mid-day break. This seminar is “rain or shine”, so please dress accordingly. Only 10 spots available so don’t wait to sign up! If there is enough early interest, we will schedule a second seminar for the fall.